FTC releases new report about privacy and Internet of things. Who’s going to regulate your smart home? The Internet of Things definitely has data privacy and security issues. With so many devices communicating all the time, it’s more likely that there will be a weak spot somewhere. 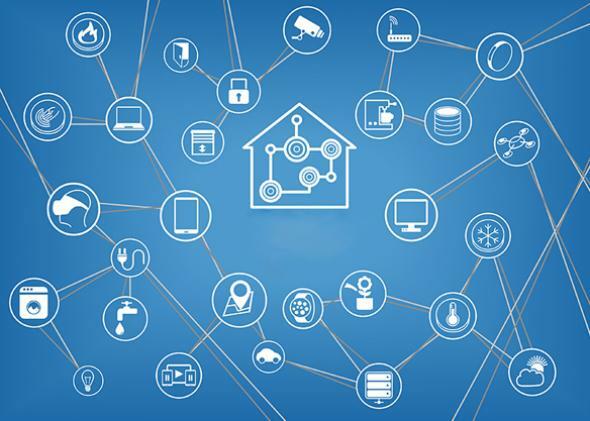 So on Tuesday, the Federal Trade Commission released a report detailing its best-practice recommendations for the Internet of things. But not everyone agrees with the agency’s approach. The report, which is based on notes from an FTC IoT workshop that took place in 2013, emphasizes designing products and services with security as a primary focus—instead of considering it only midway through the development process. The agency also discusses the importance of training employees and choosing third-party partners with security in mind. It also emphasizes that companies should jettison customer data that they don’t need. Importantly, the FTC doesn’t call for new IoT legislation from Congress. “There is great potential for innovation in this area,” the report says. “IoT-specific legislation at this stage would be premature.” The agency did reiterate its request that Congress pass stronger security legislation, an issue that President Obama also mentioned in his State of the Union address last week. “The only way for the Internet of Things to reach its full potential for innovation is with the trust of American consumers,” FTC Chairwoman Ramirez said. An economically sound and evidence-based approach to consumer protection, privacy, and regulation of the Internet of Things would require the Commission to possess and present evidence that its policy recommendations are more likely to foster competition and innovation than to stifle it. Wright and others also object to the “data minimization” recommendation in the FTC report. This section details the agency’s belief that companies should be limiting the data they keep and actively eliminating data that aren’t useful. In this way, the FTC says, industry can “minimize the individualized data companies have about consumers, and thus any potential consumer harm.” The agency does note that “some participants expressed concern that requiring data minimization could curtail innovative uses of data,” but its overall recommendation is to reduce data collection. Hackers can’t steal what you don’t have, right? There is a danger that … privacy issues could hinder the development and widespread take-up of the IoT if they are not addressed. We are therefore interested in stakeholders’ views on the scale and nature of privacy issues that will emerge. Since it mainly outlines recommendations and best practices, the FTC report probably won’t lead to significant change in itself. “The FTC has decided that they want to be more engaged in tech issues … They’re an agency that’s looking for problems, and they should be,” Castro said. But he added that the report would have been more constructive if it had provided concrete examples of how the FTC could specifically extend its authority to protect IoT consumers. “They didn’t do that,” he said.